Like its real world counterpart, the GNS 530W XP comes with built-in WAAS navigation capabilities, and is capable to fly LPV “glideslope” approaches without reference to ground-based navaids of any kind. Featuring an advanced 15-channel receiver capable of five position updates per second, GNS 530W meets the FAA's stringent TSO C146a standards for WAAS "sole means" navigation — providing vertical and lateral approach guidance into thousands of U.S. airports previously inaccessible in IFR conditions. Effective use of color makes it easy to see your position relative to ground features, chart data, navaids, flight plan routings, approach procedures and more. 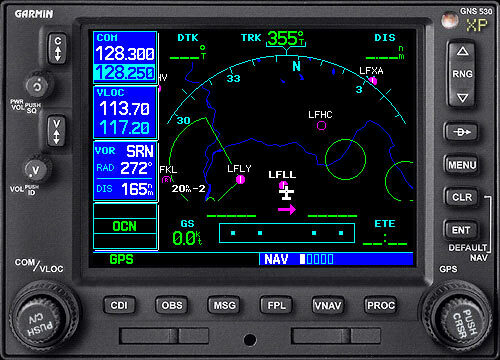 Working in tandem with the Microsoft Flight Simulator autopilot with a proprietary roll-steering command interface, GNS 530W XP behaves like a high-end flight management system (FMS) and can automatically fly your aircraft through holding patterns, procedure turns and other position-critical IFR flight procedures. GNS 530W XP seamlessly integrates built-in terrain and navigation databases, providing a clear, concise picture of where you are and where you’re heading, using the Garmin Ltd. Trainer huge Jeppesen® database containing location reference for all airports, VORs, NDBs, Intersections, Flight Service Stations, published approaches, SIDs/STARs, Special Use Airspace and geopolitical boundaries. A detailed basemap clearly shows airports, cities, highways, railroads, rivers, lakes, coastlines and more. Using information from the built-in terrain and U.S. obstacles databases, the 530W XP displays color coding to graphically alert you when proximity conflicts loom ahead. In less than a generation, Garmin avionics have become the clear #1 choice in the owner-flown aircraft market. In fact, nearly three-fourths of all U.S. single- and twin-engine piston and turbine aircraft retrofitted since 2000 are now flying with Garmin GPS-enabled equipment. The reasons are easy to identify in both the GNS 430W and its larger-screen stackmate, the GNS 530W. These one-box, multifunctional units are loaded with features and guidance capabilities previously found only on high-end FMS equipment. Quality construction, rugged reliability, low-learningcurve operation, and straightforward installation and servicing keep the cost of ownership low. And since they’ll fit in the same standard size mounting trays as their predecessors, retrofit upgrades are a snap. The Garmin GNS 430/530 “W” series: All-in-one avionics solutions – plus cutting-edge WAAS navigation – for a whole new era in flight. GNS 530W XP is navigator's heaven! with an extraordinary number of user customizable navigation information fields. Perfectly integrated in Flight Simulator, it seamlessly integrates with default aircrafts VOR and HSI. In short, there is simply no better simulation of the GNS 530W for Flight Simulator, period. 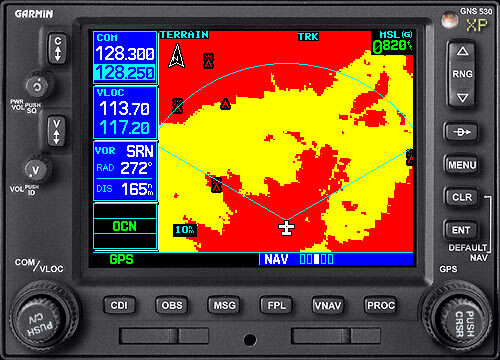 GNS 530W XP is a complete IFR enroute and approach designed GPS. It simply recreates the pilot's environment and interface, with it's complete knob and keys controlled features: a simulation paradise! Its authentic autopilot roll-command guides the aircraft whether you follow a flight plan, a Direct TO vector, or a DME arc: the simulation will precisely drives the autopilot NAV mode to the intended location. GNS 530W XP includes an integrated NAV/COM unit interfacing with Flight Simulator radios. The provision of the integrated communication and navigation radios in the unit gives the extra capabilities of auto tuning and pre-fetching your navigation and approaches frequencies. Flying has never been easier! 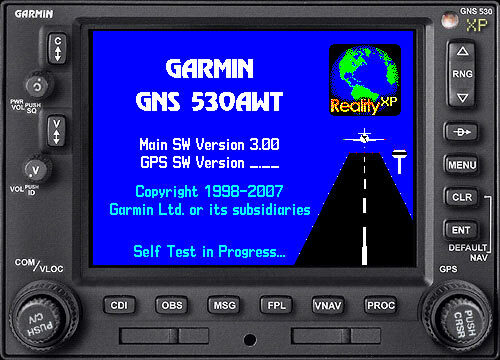 All Reality XP gauges can be installed in any aircraft, in any panel, and perform as fast and as fluid in both the 2D panels and the Virtual Cockpit. Built with the leading edge development best practices in graphics animation, Gauge XTreme™ renders faster, better and more precisely than any other SDK based gauge for the best simulation experience. For the first time, you will be able to fly an approach with your instruments to the same level of accuracy and precision you would find with real gauges. Gauge XTreme™ has been welcomed with rave reviews from the press and customers. 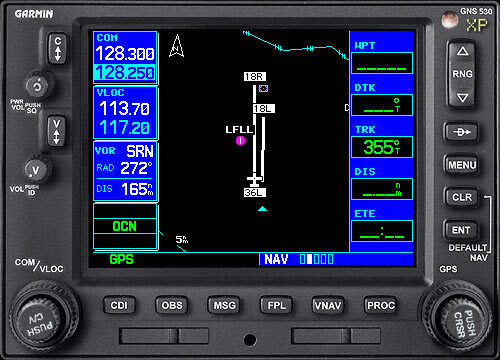 Support for any third-party aircraft lighting system both in the 2D panel and the virtual cockpit. Dimmable gauges with the adjustable dimmer gauge. High resolution Photo-realistic gauges bitmaps. GNS WAAS Config software designed to configure and manage your Reality GNS 530W XP gauge settings with a user-friendly interface and powerful configuration options. Easily change the type and rendering options for your gauges with your mouse. In addition, quickly add up to two popup windows to any panel with a choice of the GNS 530W XP GPS and the GTX 327/GMA 340 combo.